Harpocrates Speaks (HS): Just recently, I read your newest book, Do You Believe in Magic. You started out with your story about knee surgery and having your orthopaedist recommend chondroitin sulfate and glucosamine, and how that was the impulse for you writing the book. You questioned that suggestion. You have a medical training background. Some of the things just didn't really make sense about what was explained about why that would help you. For the average person who doesn't have a medical background and medical training about how the body works, how might they be able to think about asking the questions that you did? 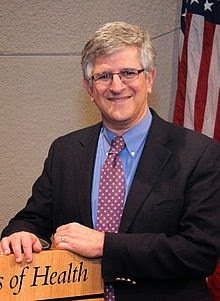 Paul Offit (PO): I think, first of all, there are 54,000 dietary supplements on the market. I would say fewer than 20 have any sort of reasonable studies looking at efficacy, meaning whether they work. You can assume they've never been shown to work, as a good general rule. I would say less than 1% have any sort of safety profile. Virtually all of them have not been shown to meet a labeling or manufacturing standard. I would approach it the other way. I would say these things probably don't work at all, and I should beware of them. It's not just the expense. There were 43 of these products that were pulled off the market by the FDA last year because they were found to be contaminated with pharmaceuticals. I would take the opposite, guilty until proven innocent, basically. HS: People tend to defer to their doctors and just assume, "Well, they're a doctor. They're recommending this. They know what they're talking about." Should they still take that approach? I know you mentioned when you were on the Skeptic's Guide to the Universe last year about feeling like you want to please your doctor; you want to be a team player. Taking that approach, do you think the average person will be likely to do that? PO: First of all, most doctors don't know about this because there's just not much to know. If you're interested in black cohosh for relieving menstrual pain or omega-3 – well, no. there actually are data for omega-3 fatty acids, which is that they don't work – but I would say most things for which claims are made, chondroitin sulfate and glucosamine is another one. It's just not – my conventional orthopaedist recommended that. I think most doctors don't know because there's not much to know, and it used to be there was a finer line, a clearer line between the alternative practitioner and the conventional practitioner. That's not true anymore. I think conventional practitioners have embraced this because there's money in it. I think my doctor asked me to do that because I think he thought he was doing me a favor. He was being more natural. HS: Do you think that there's potential then, if the doctor recommends something like one of these supplements or some other alternative medicine, and it doesn't work for the person – If it they think it works, they're likely to say, "Oh, the treatment worked. It helped me." If it doesn't work, are they likely to blame the treatment, or say, "Oh, my doctor doesn't know anything," and then distrust the doctor more? PO: Not all drugs work. I mean, not all drugs work on all people, whether it's a pharmaceutical product or a non-pharmaceutical product. I guess my advice would be this. Look to see whether or not there have been problems with it. Don't hurt yourself. Don't do something to hurt yourself. Realize that the minute you enter this world, this FDA-unregulated world, you may be taking something that could have something that you didn't know was in it and is only going to be found out later. I mean, that whole thing with the ironically named Purity First Company last year that had made a vitamin C preparation and a multi-B preparation that was contaminated with two powerful anabolic steroids. We went to our shelves at Children's Hospital of Philadelphia to see whether we had any Purity First products. It was possible, because we don't control our buyer. We wouldn't have known. But that's the problem. They're not regulated. Now that said, there are certain products which if it says “USP verified” or “NSF verified” you can at least know if it meets labeling and manufacturing standards; you at least know it's not contaminated with other things, even though it might not work. It would be safe. It's good to know it's not contaminated. HS: Speaking of having an understanding of what's actually in a product, you mentioned that the Children's Hospital of Philadelphia recently looked at their drug formulary and whether to accept dietary supplements that people bring in from home and the difficulty of obtaining a certificate of purity, that what's on the label is actually what's in the supplement. That was coming from the Joint Commission [JCAHO – the Joint Commission on Accreditation of Healthcare Organizations]? PO: Well, yes. The Joint Commission asks us to treat these as drugs. So when somebody brings in selenium, for example, and they insist on taking it. What we used to do is we used to take it. We used to store it, knowing that it would be stored correctly. We used to write an order for it. And we, meaning the nurse, would give it. We thought we would potentially be participating in a fraud. If it said 200µg of selenium on the label, we would write selenium 200µg q.d., or whatever. But it may not be 200µg. It could be 40,800µg, which was true with two recent products. So we were stuck. JCAHO, the Joint Commission, wanted us to treat these products as drugs. Fair enough, they are drugs. The problem is they aren't regulated as drugs. We don't know what they are. So we said, "We're out." HS: With DSHEA treating dietary supplements as this whole separate category from drugs, and the FDA kind of being legally tied from doing anything about it, do you think that change could come from these sorts of regulations from the Joint Commission or smaller organizations? Could it be something that could build up? PO: I think change could come in one of two ways. One is the consumer finally stands up and says, "I want to know what I'm buying. So I would like to have evidence, data, before it's put on the shelves." Anybody can put something on the shelves. I don't think that'll ever happen. I mean, if it hasn't happened yet, it's not going to happen. I mean, these drugs were killing people. OxyElite Pro killed people, and still they're not-- The Purity First vitamin C preparation was contaminated with two anabolic steroids. Imagine if that were to be amoxicillin. We would never hear the end of it, right? But we accept that. I am now convinced that there is nothing that will cause the consumer to rise up. The only other way it could morph would be a few critical wedge law suits in which it's basically said, "Hey, this says supports prostate health. Or better yet, the vitamin E preparation says it's good for cardiovascular health. There are excellent data showing that megadoses of vitamin E increase your risk of prostate cancer. I don't see that on the label. My clients here, these five people as part of this class action law suit, are saying they got prostate cancer from this and you failed to warn them." Failure to warn. HS: The labeling, that's under FDA purview, so if somebody did bring suit like that, they would be able to change it. But from what I read on DSHEA the actual advertising falls under the FTC, so that could be another way to pursue this. PO: Yeah. Kevin Trudeau, I think, was told by the FTC, ultimately, it's what you said in this book; it's what you advertised. HS: I want to change gears a little here. Talking about alternative medicine in general, how common do you think it is in pediatric medicine? PO: Very common. First of all, we recommend vitamins A, D and E for children. Children who are partially or completely breast fed should receive supplemental vitamin D, especially those who are dark-skinned. You can certainly make a case for vitamin D supplements in the first year of life, but that's it. But vitamin A and E. Why do we recommend that? HS: What about some of the alternative medicine outside of supplements, like acupuncture, chiropractic, reiki, etc.? PO: Jefferson, which is right around the corner from us, has a division of complementary and alternative medicine. They do that. And HoP [Hospital of the University of Philadelphia], this is the hospital next door, has reiki as part of its oncology division. There is not a clear line anymore between alternative and conventional medicine, because there's money in it. HS: What implications do you think that has for pediatric care? Opting for complementary or alternative medicine? What are the implications if it's just in addition to standard care? What are the implications if it's instead of standard care? PO: Certainly there are pediatric hospitals that are struggling with this. There is a desire to bring acupuncture, reiki into pediatric hospitals. It certainly is happening. I think it's problematic in several ways, the most important of which is it begins the slippery slope of getting away from evidence and rather just meeting the patient demand. So we become waiters in a restaurant more than doctors in a hospital. You know, I think our job is to have professional standards, to help parents sort through this dense thicket of medical information to make the right decision for their child. It's not just what they want, and they're endangering lives. On the one hand, there certainly are children who have rejected transplants because they were unknowingly taking St. John's Wort, which then decreases their ability to metabolize immunosuppressive agents used in solid organ and bone marrow transplants. Knowing due to DNA bar coding studies that 90%, or 60%, of North American botanicals either aren't the botanical listed on the label or contain inert rice powder or wheat powder. The minute you start to recommend them, or encourage their use, or not discourage their use, you enter into a world of nonscience. So you're culpable. HS: Yeah, and a lot of people just see these, "Oh, it's natural. It's a flower. It's an herb. What harm can it do?" But there really is potential there for harm. PO: I would say that 70% of the drugs in CHOP's formulary derive from plants. I mean, vincristine and vinblastin, which are two powerful chemotherapy drugs which can cause severe bone marrow depression and death, are derived from plants. But people, I think, have this notion of this industry that it's untouchable, that it can only help you; it can never hurt you. It's all natural, therefore it can only be good. That these products are made by elves and old hippies on flower petals, and that's not true. HS: A lot of people don't realize that even major pharmaceutical companies, Pfizer, I know you've mentioned Hoffman-LaRoche, are in this industry. A lot of the products that they say, "Oh, this isn't Big Pharma," but they are. You mentioned that a lot of doctors really don't know much about what's really behind these different offerings. They don't know the evidence, or the lack of evidence, to support these things. The skeptical community seems a lot more aware than medical professionals. What can we do to change that? HS: Could the medical industry and the educational system perhaps have classes to teach upcoming physicians about this? Is there something that skeptics or just average people could do to help their medical professionals learn more about these products? PO: The trend is all certainly the opposite direction. If anything, the lectures that these students are getting are all given by alternative practitioners. They'll learn about reiki from reiki masters, chiropractic from chiropractors. So they aren't learning science-based medicine. Rather, they're learning how to participate in a $34 billion a year industry that they, too, can cash in on. It's awful. I mean, all the courses are in the other direction. I think that what skeptics can do is do everything they can to hold the administrators of these medical schools' feet to the fire. That this isn't okay. Good luck with that, but I think that's probably your best bet. HS: Especially when you have very prestigious institutions like Johns Hopkins, Harvard, Mass General, that have reiki and acupuncture as part of their basic clinical recommendations. I agree, it's definitely an uphill battle. PO: I think it's okay to use reiki under these circumstances. Let's assume that when you lie somebody down, and you play soft music, and you talk in a calm manner, there's a physiological effect that comes with that. That you can reduce stress, which can affect your immune system, which can affect your blood pressure. That's all study-able. So what is it about that that's therapeutic? I think that's part of the issue; it's part of the draw. I don't think you're manipulating healing energies, but you are doing something. What is that? So I think if you're going to practice it, then I think it's incumbent upon you to educate your fellow clinicians about what it is. I feel the same way about acupuncture. Certainly all the evidence is you don't need to put the needles under the skin. Great, so don't put the needles under the skin; use retractable needles. HS: I think that's an important goal, to reduce stress and be able to manage that in a patient, but what are the ethics involved from the caregiver perspective in using this sort of “placebo” medicine? Do you have to mislead the patient, and what does that say about the patient-doctor trust relationship? PO: This is going to surprise you. I think it's okay to mislead your patient. Low cost, low burden. I do it all the time. When I walk into the patient's room, I have a medicine in hand, for example, or a prescription for a medicine, that I say, “I think is going to work for you. I think this is going to make you better.” That matters, if you say that instead of, “this may or may not work for you.” So that is at some level appealing to a placebo response. I wear a nice jacket or I wear a white coat which has red stenciling on it. I look the part. That matters, too. If I walk in wearing a t-shirt that says Iggy and the Squirrels on it, it would not be as good. I think you walk into a hospital, it has the machines that make banging noises, I mean it's like church. You walk in with an expectation of therapy. When you walk into church, you walk in with the expectation that your soul is in a good place. HS: Sort of the theatre of medicine. HS: Dealing with the proliferation of pseudoscience in medicine, is there anything the average consumer can do to improve things? I know you mentioned that they can hold the doctors accountable. They can hold the administrators accountable. What about the people running these clinics and advertising these alternative medicines? PO: It's hard. For example, you could argue that if you go in and your doctor says, "I think you should take black cohosh for your menstrual pain, for your hot flashes", you can say, "Where's the evidence?" The problem with that is that there's a lot of lousy studies. There's roughly 4,000 studies published a day in American science literature and the world. And not shockingly it follows a bell-shaped curve. Some papers are great; some are awful; most are more or less mediocre. It's hard to sort out what they are. For doctors it's hard to sort out which ones they are. So it's easy to hoodwink people. So then what? I mean, I guess all I can say is pick a clinician that you trust because they are as evidence-based as you can find. And then trust them. PO: In Southern California, right? HS: In the Bay area of Orange County. PO: I know it was Dr. Sears' territory. HS: So Orange County had 20-30 cases, and then statewide it's over 50. So, with people like Dr. Bob Sears and Dr. Jay Gordon, what can be done to counteract the negative message that they're presenting? What is the AAP doing about this? PO: Nothing. Absolutely nothing. It's a free country, so they can say things, even things that are potentially dangerous like "delay your measles vaccine." Here's what I would say. I think people are compelled by fear more than reason. The reason they don't get vaccines is they don't see a need for them. You didn't have to convince my parents to get vaccines. They saw these diseases. You didn't have to convince me to get vaccines. I had many of the diseases growing up. Measles, mumps, German measles, chicken pox. I had 'em all. I saw them, so it's easy for me to vaccinate my children. My children didn't grow up with these diseases, so it may be less compelling for them to vaccinate. So what's happened now, this month, if you look at what the media coverage is going now, it's all about the outbreaks. So now you're starting to hear angry parents. Parents who are angry that these children or parents are making it more dangerous for their children. Maybe that's going to be the cycle until the sun rises. Outbreaks will occur. We'll vaccinate more. The incidence will go down. And then people get complacent again, and the disease will come back, and we'll just see that again. The natural history of the immunization program. HS: A victim of its own success. Do you think that AAP should be doing something more? Bob Sears and Jay Gordon are vocally, at least equivocal about vaccines, if not anti-vaccine. They're fellows of the AAP. Should the AAP kick them out? PO: Well, I don't know about kicking them out. What they should feel comfortable doing is naming names. It's okay. I mean in Autism's False Prophets, when I wrote that book, what got me the hate mail that I got was that I named names instead of just standing back and doing the usual academic distance thing. You know, “Here are the data. Here's why vaccines are good. Here's why vaccine preventable diseases are bad.” Get in there. Get in the game and name names. Then move away from the science a little bit, and it becomes more politics, but that's okay. I mean, Dr. Sears or Jay Gordon have a certain following and influence. Their following and influence have been harmful. It's okay to get in there and say, "They don't represent us. They don't represent the science." It's okay to name names. It's more powerful that way. HS: In recent years, we've seen sort of a shift in that, especially in media coverage, where these doctors like Bob Sears, Jay Gordon, spokespeople like Andrew Wakefield and Jenny McCarthy, used to be held up as at least equal to the scientific consensus. Now the media's shifting. They're losing the respect that they once had. PO: Definitely. If you look at the way the media covered the story fifteen years ago compared to now it's completely different. I think they have been marginalized. Many good things have come about. First of all, Andrew Wakefield wasn't just wrong; he was fraudulent. Secondly, you wanted Jenny McCarthy. You didn't want Meryl Streep. I think McCarthy's seen as somewhat buffoonish; I think she's not seen as having much gravity. I think it was good that it was her. She's even out of it; she doesn't even do this anymore. So you see someone like Kristin Cavallari, who's also not a very smart woman stepping up there in the game. That's all okay. I mean, I think they have lost their voice anyways. They have been marginalized. You're just seeing the effects of that. HS: Do you think that there is hope to eventually eliminate measles? I mean, it's theoretically possible. PO: Definitely. I mean, there's not a lot of asymptomatic infection, so it's easy to identify who's infected. It's an excellent vaccine when given in two doses. If you ask somebody in the developing world, "You can only have one vaccine to have. What would you have?" They would say measles. It's a huge killer. But we've done really well. We've gone from like 950,000 deaths to 125,000 deaths a year, so we're getting there. HS: Just recently, I believe it was Australia, Mongolia, South Korea and Macau were declared to have eliminated measles, so it's no longer endemic. PO: Well, we eliminated measles in 2000. HS: Recent history. Let's hope it doesn't return to endemic levels. Well, thank you for taking the time to talk with me.